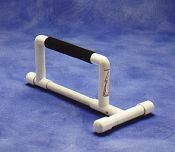 Hasselborgs Curlingprodukter has been one of Sweden’s leading suppliers of curling equipment since 1985. The business started during the season of 1984 and 1985, when team Hasselborg, then playing for Sollefteå Curling Club in the north of Sweden, started to develop a new curling shoe: The Swede Pro. This new Swedish curling shoe became the basis for our selling during the following ten years. Many thousands of shoes were made before the production was ended in 1997. Today all our products; shoes, brushes, hacks etc come from Canada. We have a very good co-operation with Tournament Sports, BalancePlus, Goldline and the Stabilizer in Ontario and also with the Thompson Rink Supplies, Asham Curling Supplies and the 8-ENDER in Manitoba. 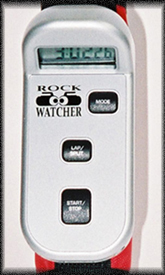 A new supplier for 2003 is the Rockwatcher in Surrey, British Columbia, not far from Vancover on the west coast of Canada. Hasselborgs Curlingprodukteris a part time business on a spare time level. We don’t have any shop, but a small room in the basement where our flat is, on Karlbergsvägen 78 in Stockholm. You are welcome to call us and book a time for you to come to have a look and try out our curling goods.